Partial knee replacement surgery is a surgical procedure for people whose knee joints are affected by osteoarthritis or another degenerative joint disease. This procedure is similar to a total knee replacement; however, in a partial knee replacement only part of the knee is replaced with an artificial implant. Why Would Someone Need Partial Knee Replacement Surgery? Degenerative bone diseases such as osteoarthritis—which affects weight-bearing joints—cause significant pain and limit mobility. This happens because the cartilage that cushions these joints wears away, and doesn't provide the same level of shock absorption as it used to. If the joint becomes badly damaged, it may become necessary to replace the joint with an artificial one. One option for surgical treatment is total knee replacement surgery, in which the entire knee joint is removed and replaced with an artificial joint implant. For some people, however their knee damage is confined to just one part of the joint, rather than affecting the entire joint. In these cases a partial knee replacement is a better option, because this surgery preserves those parts of the knee joint that haven't been damaged. Both a partial and full knee replacement can significantly reduce pain and stiffness of the knee joint, and improve stability and range of motion. For several reasons, however, it's more desirable to have a partial knee replacement than a total knee replacement, if you're a good candidate for the surgery. For instance, partial knee replacement preserves more of the natural tissues of the joint, which means most people retain a better range of motion and better knee function afterwards. Another benefit is that recovery is faster after a partial knee replacement. If you do have a partial knee replacement, you can still have a total knee replacement in the future if it ever becomes necessary. 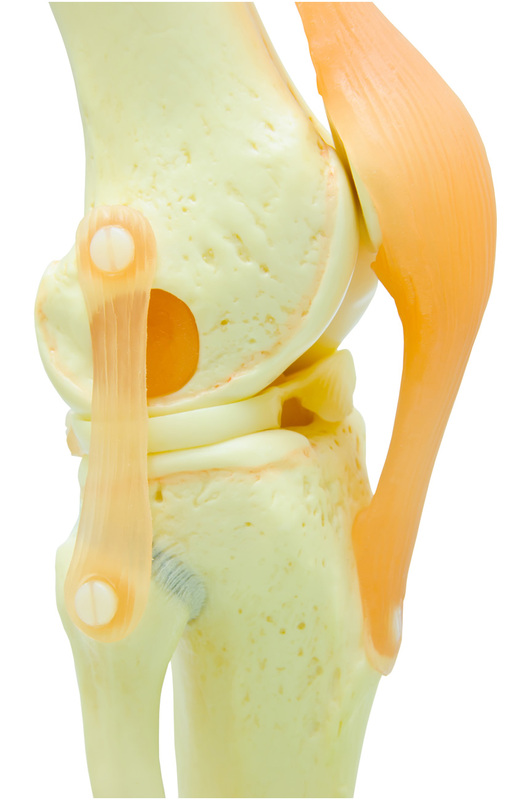 In a partial knee replacement, the damaged parts of the patient's natural knee joint are replaced with an artificial implants. This surgery is usually performed under a general anaesthetic. However, if a patient is unable to tolerate a general anaesthetic they can have a local anaesthetic instead. In a partial knee replacement procedure, the surgeon first prepares the implant site by removing the damaged cartilage and bone that needs to be replaced. Next, they put in place the mental implant that replaces the damaged portions of tissue. If necessary, they'll also “resurface” the kneecap. This improves the repaired joint's stability and flexibility. Finally, they insert a plastic device called a spacer, between the metal joint components. This ensures they glide against one another smoothly to allow the joint to move as freely as possible. To prepare for surgery, a patient will undergo physical examinations to ensure they're a good candidate for the procedure, and to assess their overall general health. This is important to make sure that they don't have any medical conditions—such as high blood sugar or an infection—that might affect the safety of the procedure. Another aspect of preparation is that certain medications make surgery more risky. These include blood thinners such as warfarin and non-steroidal non-inflammatory drugs, which increase the risk of excessive blood loss during surgery. People who take these medications are typically asked to stop for 10 to 14 days before their surgery to reduce the risk. After the surgery is over there's usually a hospital stay of several days. Because partial knee replacement surgery is a less extensive procedure compared to total replacement, the recovery time tends to be a bit quicker. Most people can start to move their knee on the day after surgery, and find that their knee function returns quite quickly. However, it still takes several weeks of recovery time and rehabilitation exercises before it's safe to resume weight-bearing exercises.